INSTA-STIK™ Professional roofing adhesive from the Dow Chemical Company, Building Solutions division is a one part moisture curing polyurethane adhesive designed for the purpose of adhering rigid insulation boards and fleece-backed membranes to a wide range of substrates. INSTA-STIK Professional Roofing Adhesive from the Dow Chemical Company, Building Solutions division is distributed in the United Kingdom by InStar UK Ltd.
INSTA-STIK STD 13.5kg roofing adhesive for professionals has been developed for the attachment of insulation boards and single-ply polymeric waterproofing membranes to a variety of substrates on flat roofs. Single ply membranes have to be fleecebacked. The compatibility of these membranes to any adjacent layer must be proven and accepted by the membrane manufacturer. 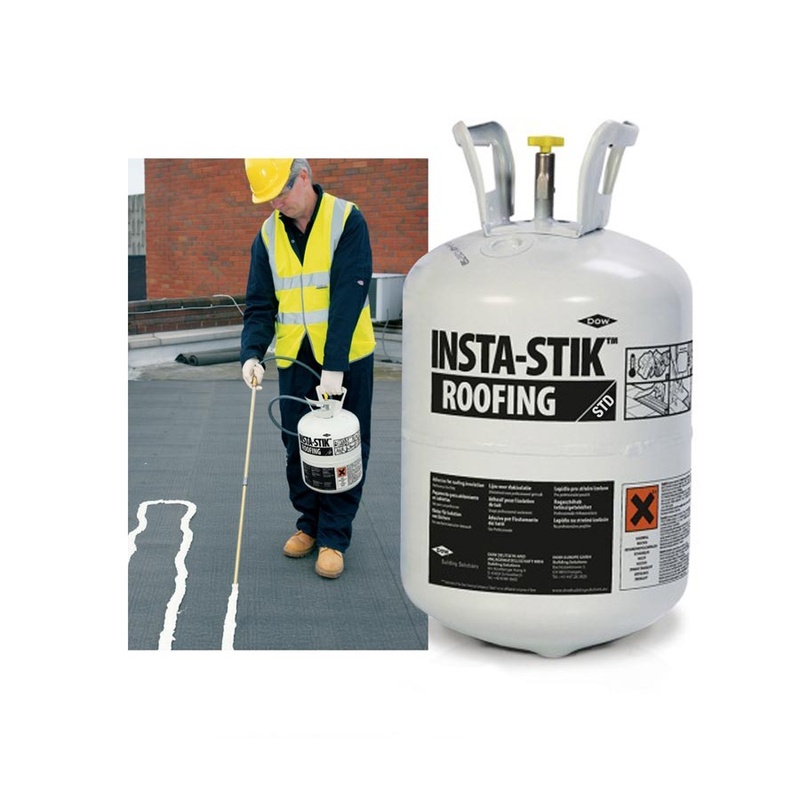 INSTA-STIK STD 13.5KG is offered as a portable, pressurised container requiring no external power source. 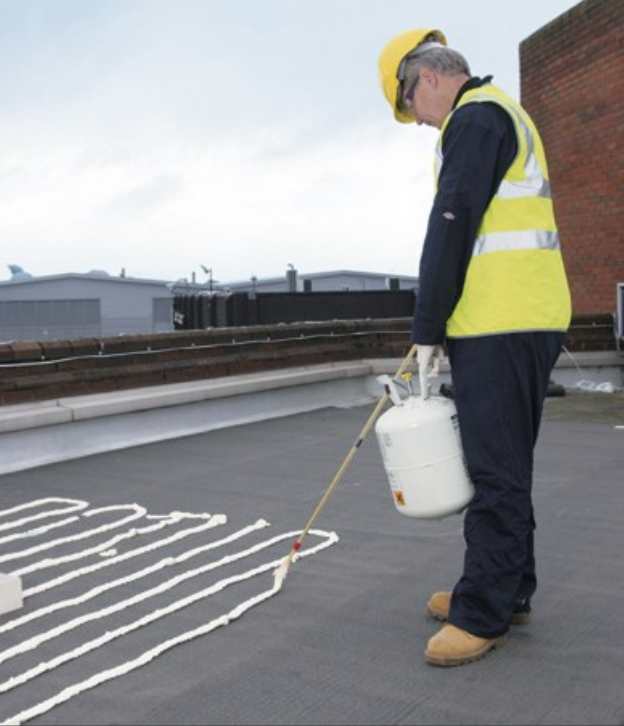 It is a cold applied system that is quick, easy to use and provides fast adhesion.